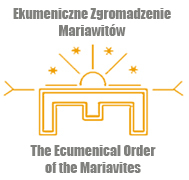 It is known that the concept of symbol is widely used by the Orthodox church in regard to the Eucharistic elements (by Origen, St Maxim the Confessor, the term antitypa in the Liturgy of St Basil the Great) and that [this church] doesn’t also define so precisely where Christ’s real presence is localized … [it may] correspond to the idea of the real, yet heavenly presence of Christ in Calvin’s Eucharistic theology which is made possible by the Holy Spirit, like in the Orthodox epiclesis. Klinger J., Problem interkomunii – punkt widzenia prawosławnego, in Klinger J., O istocie prawosławia, Warszawa 1983, p. 490. Looking for something that could be a suitable illustration to Rev. 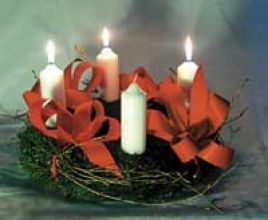 Dr. Neals discour, besides an Advent wreath, we came across a recording of an Holy Communion he celebrated during Advent. We attached it below the text. The doctrine of the Incarnation states that Jesus of Nazareth, who walked the dusty roads of Galilee, taught in the Synagoge at Caperneum, cleansed the Temple of the money changers in Jerusalem, wept at the tomb of Lazarus, celebrated the Last Supper with his disciples in the Upper Room, and died on the cross for our sins … this same Jesus was also God, come to live with us and as one of us, in human flesh. As the opening sentences of John’s Gospel puts it: “the Word became flesh and lived among us.” Jesus is the eternal Word, the creative agency through whom the Father created all that is or ever shall be. And, as John also affirms, this Word of God was God. In the incarnation God veiled Himself in humanity, thus revealing his gracious, life-transforming nature to us. It also had the glorious side-effect of enabling us to interact with Him. Thanks to the veiling nature of the incarnation, the Disciples were able to be with the God-man, Jesus, without fear, to learn from him, to enjoy time with him, and to come to know God through him. We, too, have that same privilage; we, like the Disciples, have the joy of coming to know God in and through Jesus. This is a critical point within Incarnational Theology: all that we need for our salvation can be experienced in and through our relationship with Christ Jesus, our Lord. There isn’t an element of Christian dogma that isn’t impacted by understanding that God was in Christ, reconciling the world to Himself. This is nowhere more evident than in the area of Sacramental Theology. The incarnational concept is so critical to the functioning of the means of grace that it is fair to say that they cannot be properly comprehended apart from it. To put this simply, every means of grace is incarnational. Apart from the real presence of God in Jesus Christ, each and every means of grace would be meaningless; but, because Jesus is truly the divine manifestation of God’s grace in our midst, each of the means is consequently a conduit for conveying that very grace of God to us. In other words, it is precisely because God became man in Jesus Christ that we can come to know God and receive God’s gifts of love and presence through such material instumentalities as the scriptures, prayer, worship, healing, Baptism, and Holy Communion. Jesus is the ultimate means of grace, the foundational conduit, the personal manifestation and supreme expression of the pure grace of God. Jesus, in and through His incarnation, is the Sacrament of all Sacraments. And, it is because of this that all the means of grace have meaning – from the Scriptures, which are the Word of God incarnate in the written form, to Holy Communion, which is the Word of God incarnate in the consecrated bread and wine – all the means of grace depend upon the incarnation of Jesus for their efficacy. Far from being mere symbols, or lifeless reminders of that which they signify, by virtue of conveying the real presence of Jesus each spiritually becomes that which each re-presents. It is in this sense that Eucharistic Theology is also Incarnational Theology. In and through the Incarnation of God in Jesus Christ we, when we partake of the elements in the Holy Meal, are partaking of the very real, very divine, life transforming presence of God which became one with man in Jesus of Nazareth. God, incarnate in human flesh, becomes God typologically incarnate in bread and wine, so that we, when we partake in faith, might be sanctified into the very presence of Christ for others. Advent Holy Eucharist: Prepare the Way of the Lord! from Dr. Gregory S. Neal on Vimeo. This entry was posted in English entries and tagged Advent, Anglicanism, Eucharist, Greg Neal, Incarnation, Jerzy Klinger, Methodism, Orthodoxy, theology. Bookmark the permalink.